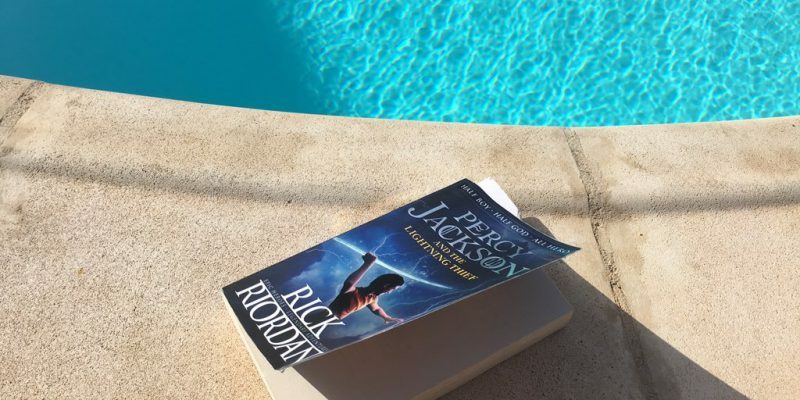 I hadn’t read Young Adult in years, but because of the overwhelmingly positive reviews I decided to read “Percy Jackson and the lightning thief” by Rick Riordan. Besides, I do like Greek myths, so I was definitely curious. Percy Jackson and the Lightning Thief is the first bestselling book in Rick Riordan’s phenomenally successful Percy Jackson series. Half boy. Half God. ALL Hero. Look, I didn’t want to be a half-blood. I never asked to be the son of a Greek God. I was just a normal kid, going to school, playing basketball, skateboarding. The usual. Until I accidentally vaporized my maths teacher. Now I spend my time battling monsters and generally trying to stay alive. This is the one where Zeus, God of the Sky, thinks I’ve stolen his lightning bolt – and making Zeus angry is a very bad idea. The story starts with a witty character, so it doesn’t really matter he is only 12. It also starts a bit predictable: boy learns he is different, boy meets its first monster, boy learns about himself etcetera. The story intrigued me enough to continue reading though. Percy Jackson is a kind of troubled kid with ADHD and dyslexia. He got kicked out of several schools. Also, he doesn’t seem to really fit in anywhere. Then, one day on a field trip, a monster attacks him and from that point on there is no return to his old life. He is taken to Camp Half-blood, where kids with one mortal parent and one immortal (Greek god) parent live. There he learns who his father really is. He is sent off on a quest to prevent a total war between the gods and thus western civilization. Along with him is Grover, the satyr, and Athena’s kid, Annabeth. During the quest, they encounter all kids of trouble and monsters before they arrive in the Underworld. The story continues with several twists and turns. The book is fun to read. It is not as brilliant as the Harry Potter series, so I don’t understand why people compare the two series so much. I do feel that some parts are dragged out a bit too much, the book could’ve been shorter. Also, I did not feel a real connection to the characters. However, the story is entertaining. I can imagine a younger reader would enjoy the book even more. I may actually read the other parts as well, but not necessarily right away. A fun read, suitable for its targeted audience: young adults. I love the Greek myths entwined. If you like fantasy, Greek myths and an easy read, this is the book for you!